In case you missed it, gadget blog Gizmodo is asking its readers to take pictures of Facebook’s CEO Mark Zuckerberg. For $20. That’s right, Gizmodo is willing to pay people to stalk Zuck. Not only is this creepy, but it’s clearly a way to get pageviews and attention. I guess by linking back to it and talking about it I’m helping them out, but it’s kind of weird and hard not to bring up. 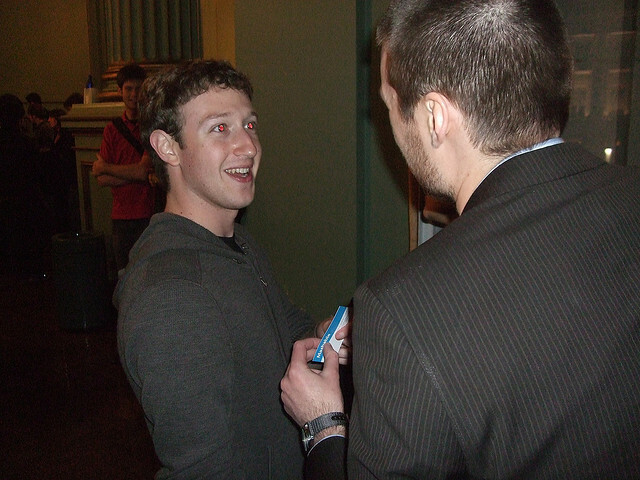 If I were Mark Zuckerberg, I’d take a few hundred photos of myself and send them over to Gizmodo. Maybe ask them to write the check out to a charity. That would surely take the piss out of this calamity. While I’m sure Facebook’s leader already has paparazzi following him around, it’s not very safe to egg other people on to do the same. So they’re trying to hide behind “making a point” about what’s public and what’s private. I’m not buying it, and I’m pretty sure that most of the public won’t either. Take pictures of other things and leave people alone, even if they have a publicly traded company. We encourage photographers to pursue the perfect shot through all legal and honorable means; please no urban ninja tactics and remember the laws of the land still apply. What are your thoughts? Is this as weird and icky as I think it is? Let us know in the comments.